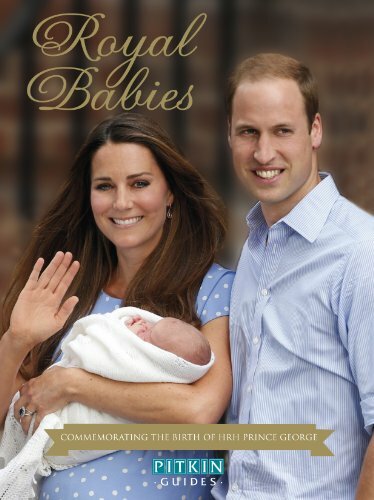 Synopsis: Since their fairy-tale wedding in 2011 and the announcement in December 2012 that William and Catherine, the Duke and Duchess of Cambridge, were expecting their first child, the British have taken the young couple into their hearts. The first decades of the 21st century have seen a surge of pride for our Royal Family as never before and the birth of HRH Prince George of Cambridge, our future king, has been greeted with genuine joy. This celebratory and beautifully illustrated guide not only commemorates this Royal birth but looks at the history of children of the monarchy from Queen Elizabeth II to her great-grandchildren. Age-old customs, ceremonies, christenings, toys and pastimes, nannies, nurseries and the Royal line of succession are also explored, presenting an illuminating portrait of Royal children through the ages.